KINIBIZ: State petroleum corporation Petronas posted a steep fall in third-quarter earnings for financial year 2015 (3Q15) with its profit after tax (PAT) fell 91 percent year-on-year to RM1.4 billion. Petronas attributed the poor results mainly due to its upstream business that was hit by RM5.4 billion written down in impairment charges, as well lower crude and liquefied natural gas (LNG). “External factors continue to be challenging for Petronas. The slow economic growth in China and oversupply in the market caused by the Organisation of Petroleum Exporting Countries’ unwillingness to cut production and imminent lifting of sanctions on oil from Iran means that there is no reprieve from low oil prices,” said Wan Zulkiflee Wan Ariffin, president and group chief executive officer of Petronas at a press conference today. 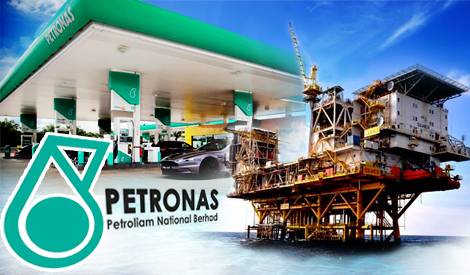 Petronas’ revenue for 3Q15 fell 25 percent year-on-year to RM60 billion. For the first nine months of 2015, Petronas’ revenue has fallen 25 percent year-on-year to RM187 billion, while PAT was down 57 percent year-on-year to RM24 billion. Wan Zulkiflee said that the RM5.4 billion non-cash impairments were a necessary, prudent measure as the company braces for a long drawn-out period of low prices. For the full story go to KINIBIZ.